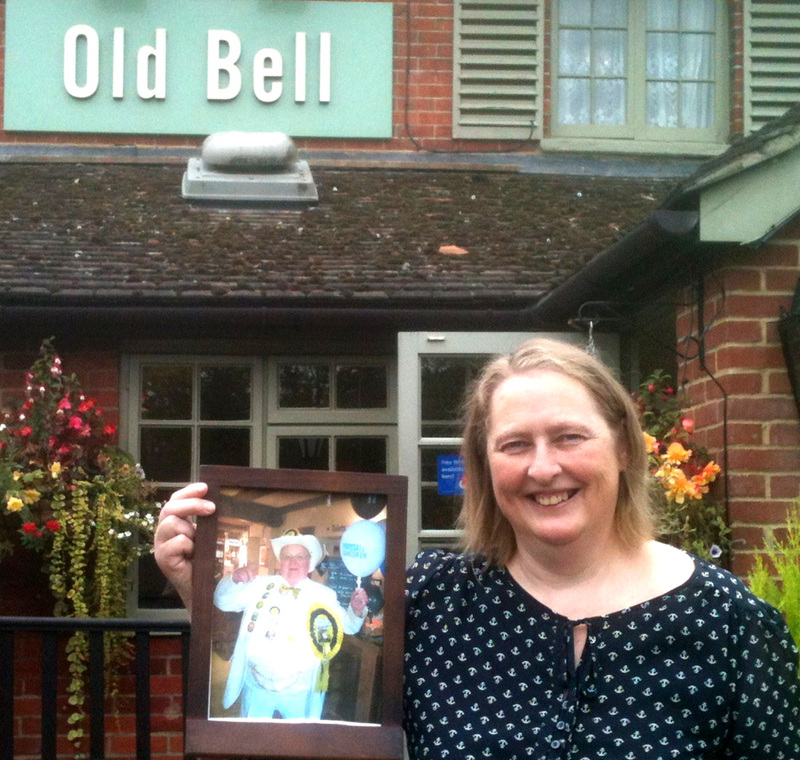 Louise the Manager of the Old Bell in Grazeley Green with her prized photo of Howling which now sits proudly on the bar at the Old Bell. Howling took time out in late August to spend a day at the Old Bell where he officially opened their Ale Festival which featured a selection of Wild Weather ales including HowlinGale with all proceeds going to Prostrate Cancer. 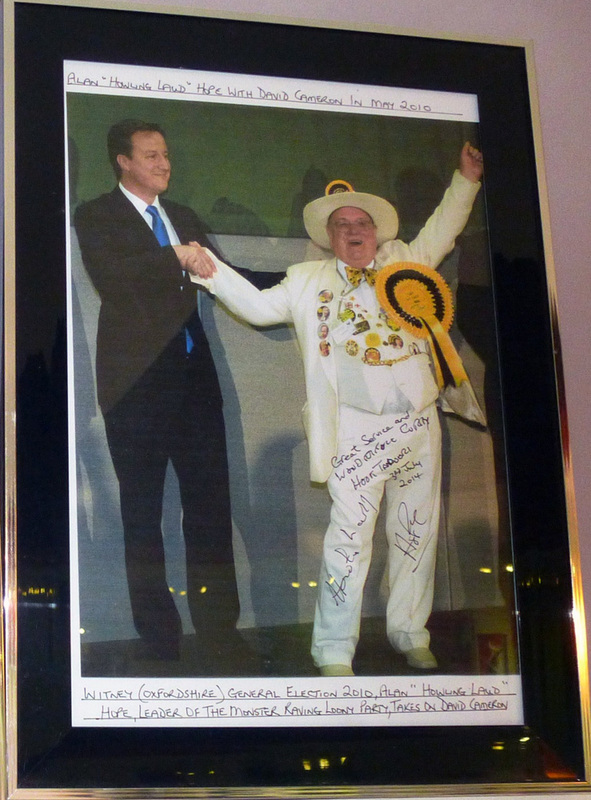 The Monster Raving Loony Party’s visit to the Houses of Parliament on 25th June 2014 to drink Longdog’s Winning co-ALE-ition in The Strangers Bar is now captured on a poster. The 1st year anniversary event this week voted The Strangers Bar visit as the best Co-ALE-ition event over the last 12 months and those lucky enough to attend that day were Howling, Knigel Knapp, Steve and Joy Lawson & Leon Slater plus Lisa Robins representing Longdog brewery. Derrill and Chinners produced the poster between them and then Derrill with the help of Rollo Hope (PA to Sir Gerald Howarth MP) managed to get all four MPs who attended to personally sign the poster and then Howling added his signature to complete the full set. 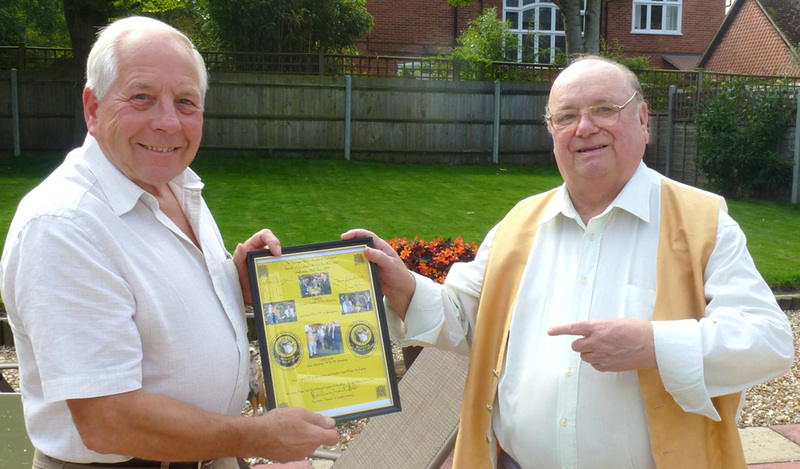 Presentation by Howling to Leon Slater on 18th Sept 2014 which recognised Leon’s outstanding support and commitment to Co-ALE-ition over the last year. Leon has attended 15 different Co-ALE-ition events and was the official photographer at the very special launch event in The Strangers Bar (Houses of Parliament). Leon also provided transport for us to go to Somerset last December for two brewery launches and a Xmas Party. Leon was presented with a unique poster which commemorates a Co-ALE-ition ale being on sale for the very 1st time in The Strangers Bar in the Houses of Parliament. 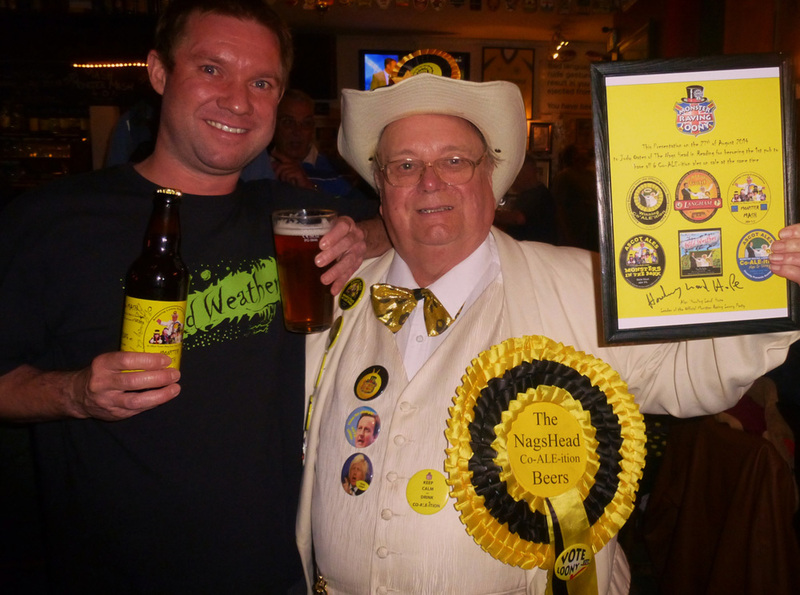 This poster had been personally signed by Howling and the 4 MPs who attended the launch of Longdog’s Winning Co-ALE-ition on 25th June 2014. 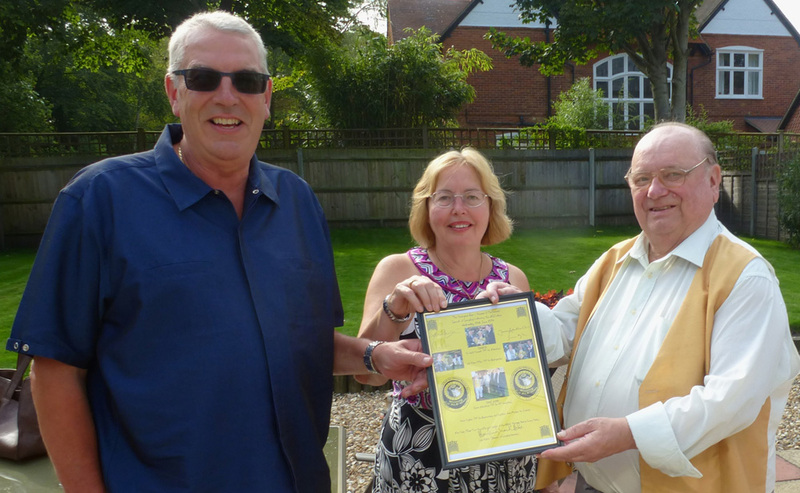 Presentation by Howling to Steve and Joy Lawson on 18th Sept 2014 which recognised their outstanding support and commitment to Co-ALE-ition over the last year. Steve has attended all of the 18 different Co-ALE-ition events and Joy has missed just one. Steve and Joy has also regularly provided transport which has enabled Howling and others to attend Co-ALE-ition events. Steve and Joy were presented with a unique poster which commemorates a Co-ALE-ition ale being on sale for the very 1st time in The Strangers Bar in the Houses of Parliament. 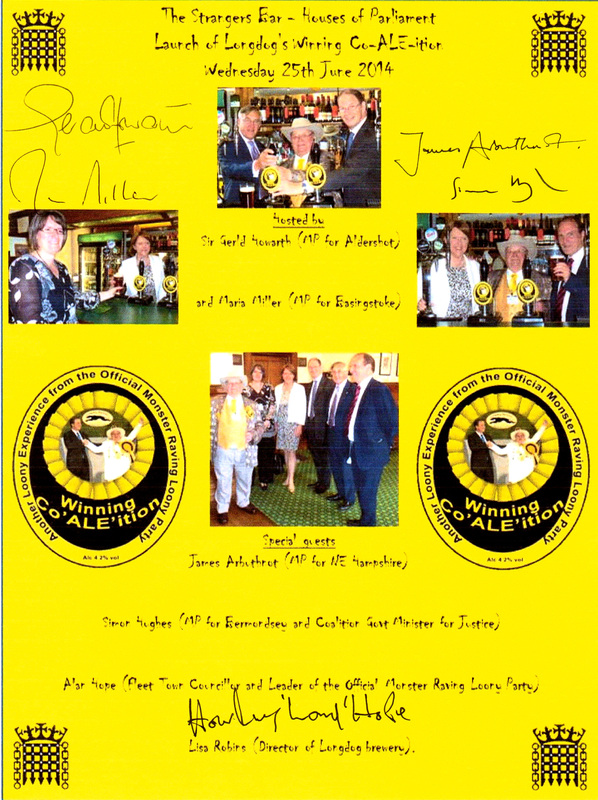 This poster has been personally signed by Howling and the 4 MPs who attended the launch of Longdog’s Winning Co-ALE-ition on 25th June 2014. 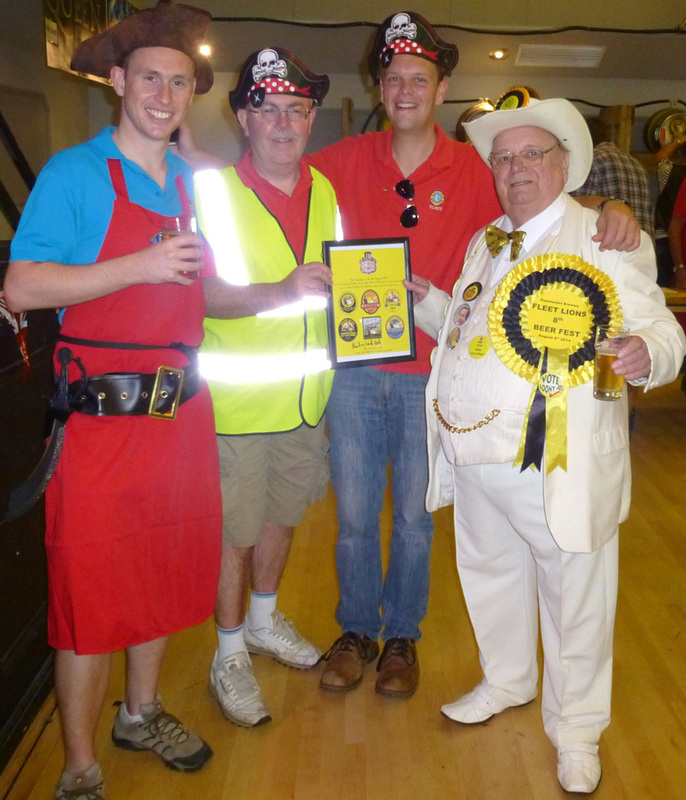 Presentation of two awards by Howling and Kevin Travers (CAMRA’s Deputy Regional Director for Surrey) and a friend of Howling’s on the 18th Sept 2014 to Dan Proctor (Manager of the Prince Arthur in Fleet) for becoming the 1st pub to sell 100 casks (7000 pints of Co-ALE-ition) in less than 12 months and also for the Prince Arthur becoming the 1st Wetherspoons pub to sell 5 different Co-ALE-ition ales. Dan has been an outstanding supporter of Co-ALE-ition right from the outset. There is always a Co-ALE-ition ale on sale at the Prince Arthur in Fleet’s best real ale pub which has featured in the CAMRA Good Beer Guide (GBG) in both 2014 and 2015. The 2015 CAMRA GBG specifically mentions both Co-ALE-ition and the connection with the OMRLP. 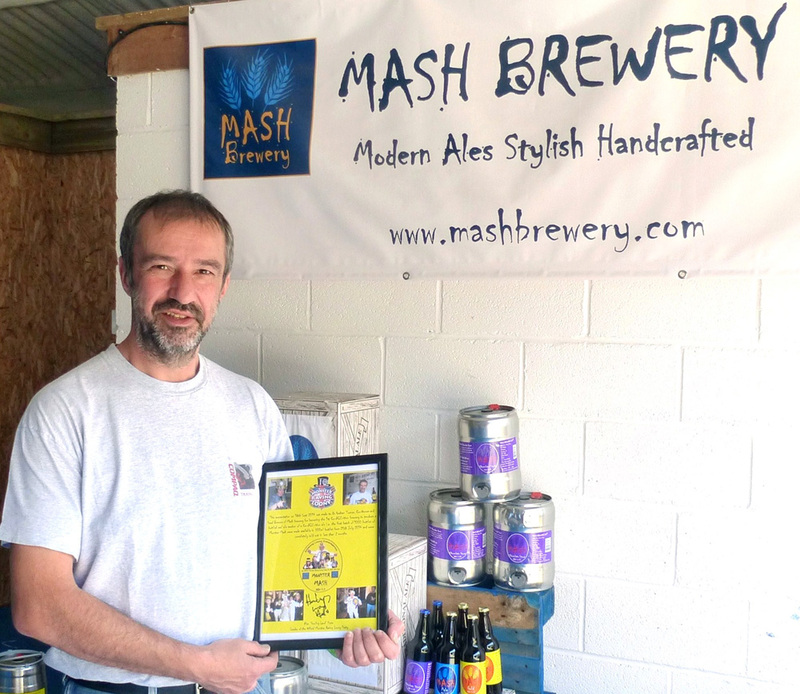 Presentation made to Dr Graham Turner, joint owner and head brewer of the Mash brewery in East Stratton (Hampshire) for becoming the 1st Co-ALE-ition brewery to produced a bottled real ale version of a Co-ALE-ition ale. All 1000 bottles of this special edition of Monster Mash were completely sold out within 6 weeks of the launch date in late July. 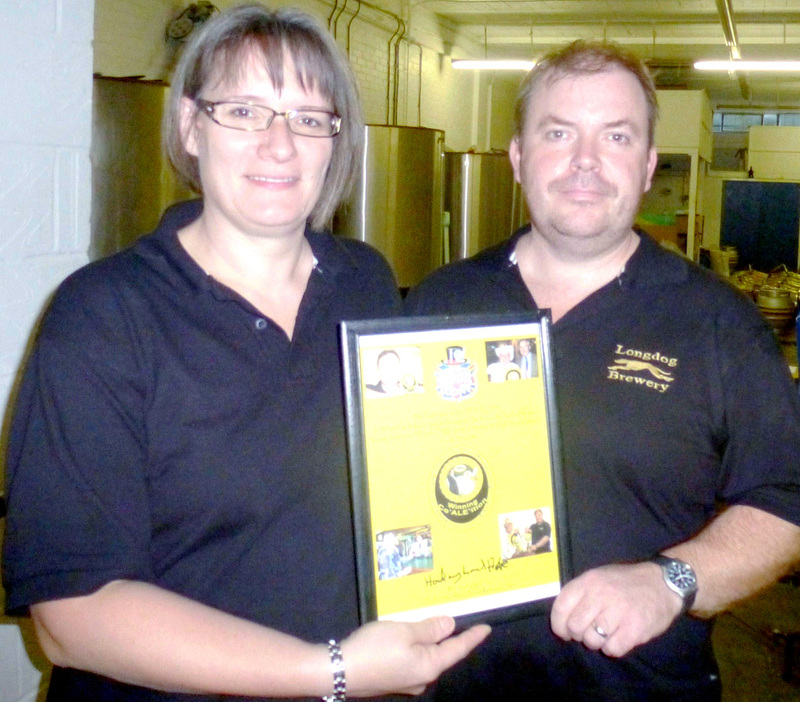 Presentation made to Phil and Lisa Robins, joint owners and head brewer of the Longdog brewery in Basingstoke (Hants) on 29th July 2014 for selling 100 casks (7000 pints) of Winning Co-ALE-ition in less than 12 months. Presentation by Howling on 27th August to Jody Oates, Landlord of the Nags Head in Reading, on becoming the 1st pub to have all 6 Co-ALE-ition ales on sale at the same time, together with Monster Mash available in a bottle. The Nags Head were also presented with the Pub of The Year award for 2014 by the CAMRA Reading and Mid Berks branch on the same night. 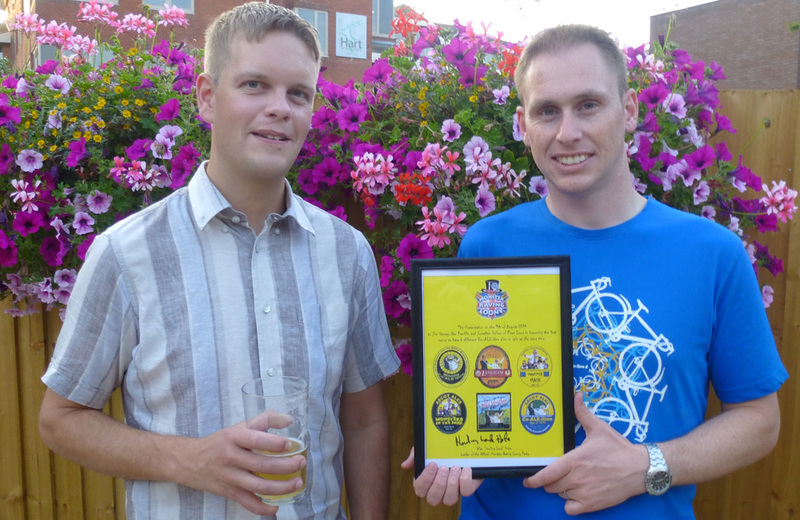 Howling presents a framed and signed OMRLP certificate to the three main Fleet Lions Ale Festival organisers – Jonathan Hellem, Jim Storey and Dan Franklin for their notable achievement in becoming the first ever venue to have all 6 Co-ALE-ition ales, plus Monster Mash in a bottle.available to customers on the same day (9th Aug 2014). 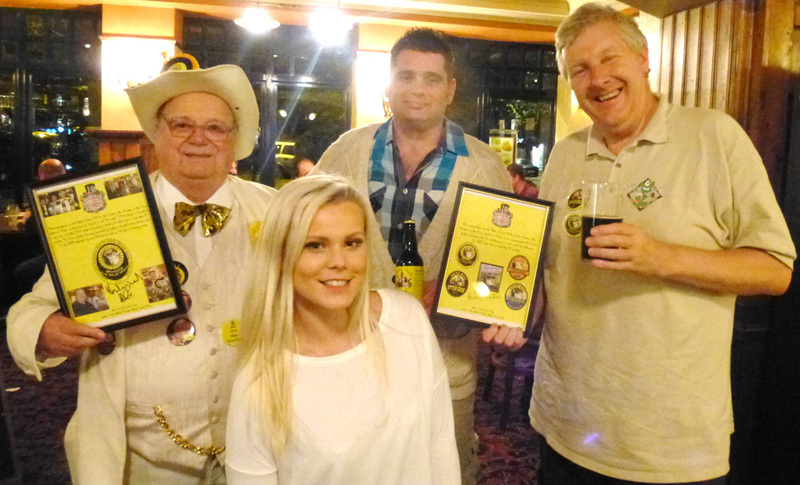 Presentation made to Daniel Franklin and Jonathan Hellem (Fleet Lions Ale Festival organisers) on 25 July 2014 for becoming the 1st venue to have all 6 Co-ALE-ition ales and Monster Mash in a bottle all on sale at the same time. 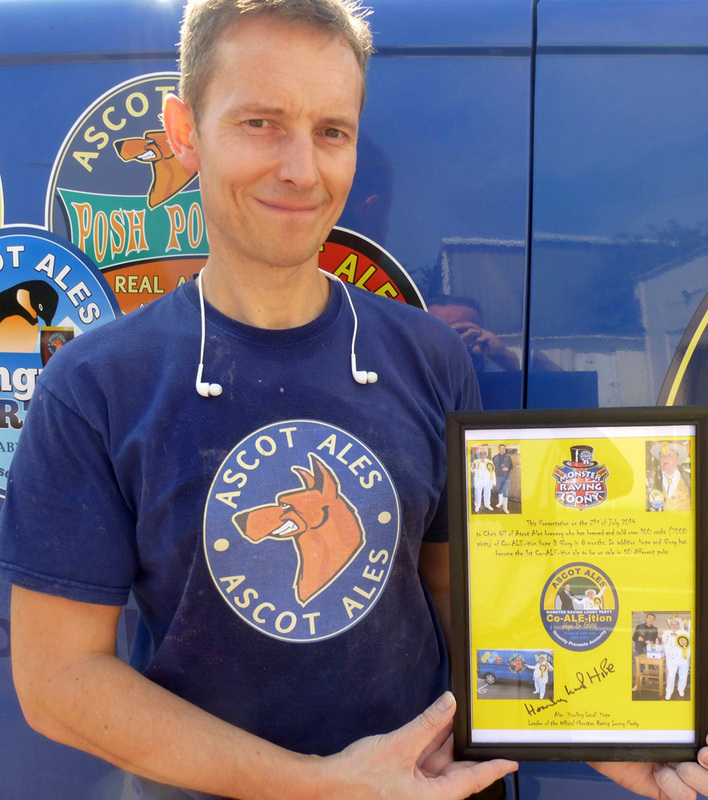 Presentation made to Chris Gill (Owner and Head Brewer of Ascot Ales) on 25 July 2014 for selling 100 casks (7000 pints of Ascot Ales Hope & Glory and also becoming the first Co-ALE-ition brewery to sell Co-ALE-ition Hope & Glory to 50 different pubs. 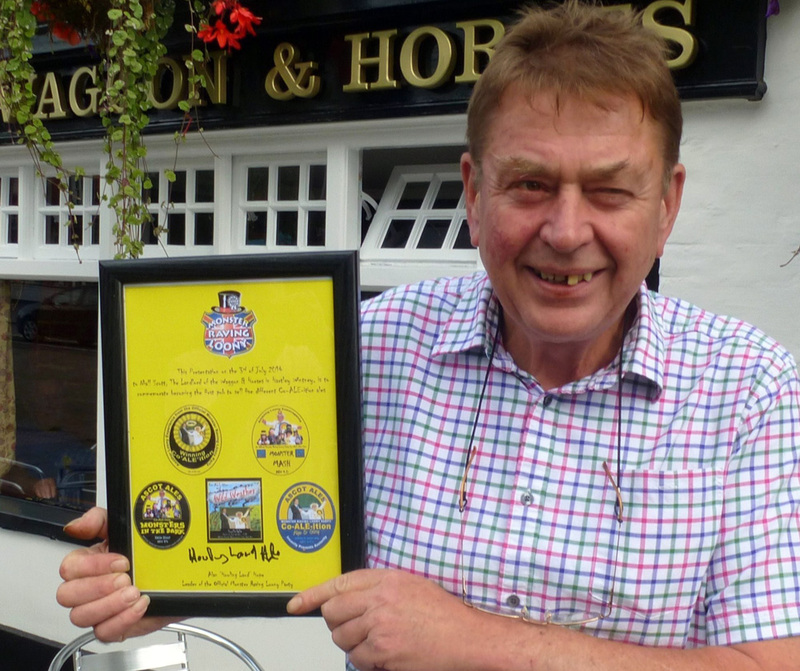 Presentation to Niall Scott, Landlord of the Waggon and Horses pub in Hartley Wintney, made on 3rd July 2014 for becoming the 1st pub to sell 5 different Co-ALE-ition ales. 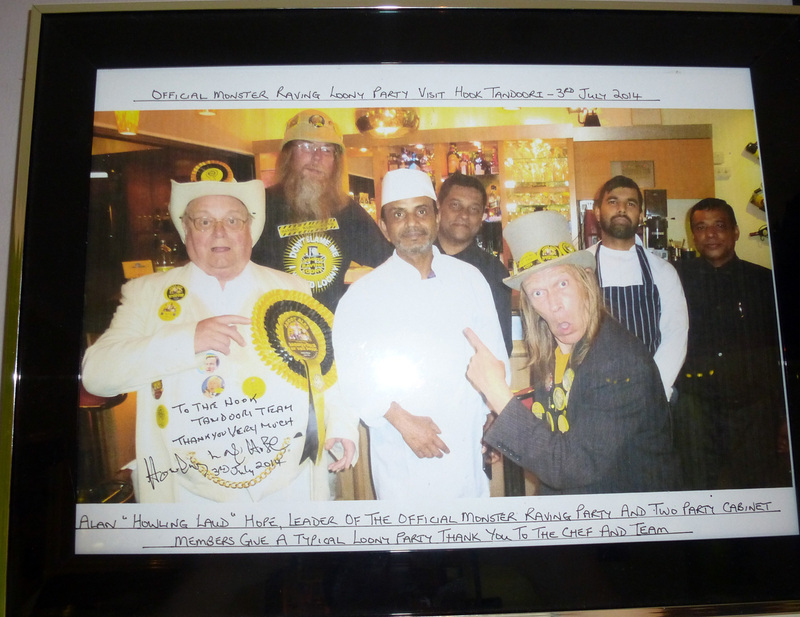 Presentation made to the Hook Tandoori in Hampshire for the excellent meal they provided for our Monsters In The Dark launch event on 3rd July 2014. These two signed and framed photos are now proudly positioned on the main wall in the Hook Tandoori restaurant and are attracting a lot of interest. The Hook Tandoori is positioned just across the road from the Raven Hotel where the Official Monster Raving Loony Party held their Annual Conferences in both 2008 and 2009 and where the legendary Cabinet reshuffles took place.